It’s been a while, mainly because I’ve been busy with site maintenance and things, but SilentMode is back with his first review of the fourth wave of the highly popular Friends theme. Whether you dislike or hate my added storyline, you can’t help but notice my previous reviews. 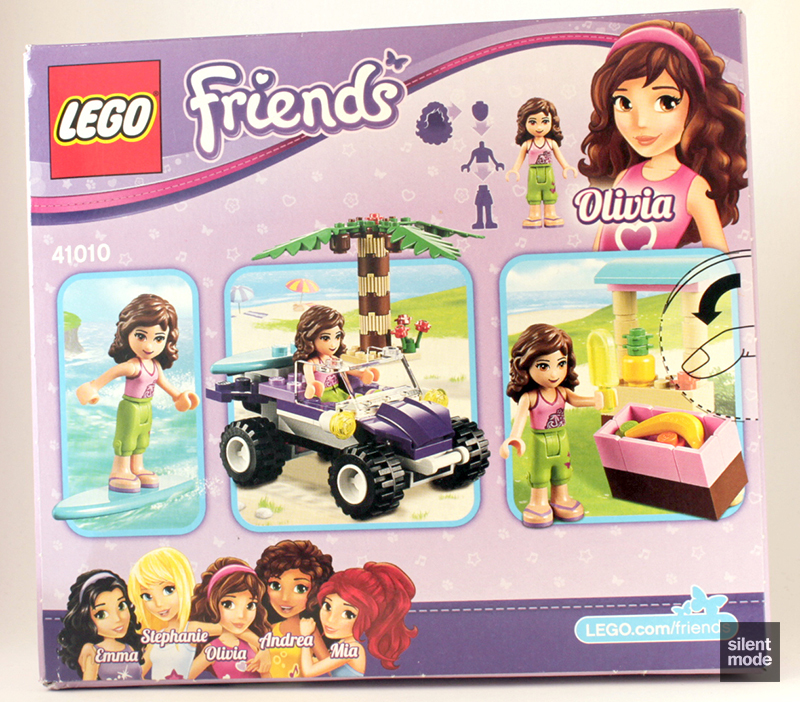 I’ve bought all the sets in this wave, and the first randomly selected set to get the treatment is Olivia’s Beach Buggy. You’ll be glad to know that EvilMode won’t be making a presence in this 20th Friends theme review. 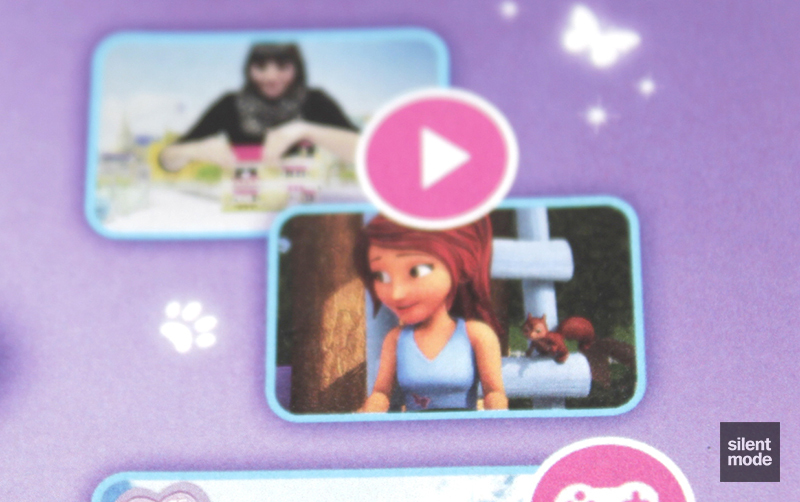 Yet again all of the play features of the set – nearly all of them – are shown on the back of the box, leaving little room for imagination. The fourth wave keeps the hand-drawn Friends cast introduced in the third wave. The scale reference in this episode is a built pineapple, which is rather strangely in Yellow rather than Tan or Orange. You’ll also notice that the set I picked up has the incorrect set details on it, and another naughty attempt at inserting a curly apostrophe. Literally squeezed into the small studio is the contents of the box: two bags worth of parts (again with plenty of space for padding) and a folded instructions book. We’re missing the traditional large plate that is packaged loosely, namely because there isn’t one this time. Of note are the three palm tree leaves that come in this set, as well as six of our favourite flower plate in Red: this is introduced in this wave of Friends, and you can also find it in Downtown Bakery (41006). Personally I think this is the only time I’ve been pleased to see an existing part made in Red. Though the colours look washed out, I can assure you we’re given a Medium Azure surfboard and 2×4 “bow” brick. Along with some more panel pieces in Bright Pink, we’re also given two corner plates in Medium Lavender, currently exclusive to this set: these will come very handy with all those 1×2 plates that have been appearing on PAB walls (of which I have one or two). Oh all right, we have some Dark Purple parts as well, including two exclusive 1×3 plates. Finally, a Dark Purple plate we can use. Very very interesting to note is the presence of three Reddish Brown and one Yellow minifigure head – all plain. Definitely something for minifigure customisers, and a sure sign they’re going to be used for things other than minifigure heads in this set. For those who went nuts over the round grille bricks introduced by the Atlantis theme: here’s another chance to obtain them in Tan, and currently the least expensive set you’ll find them in. 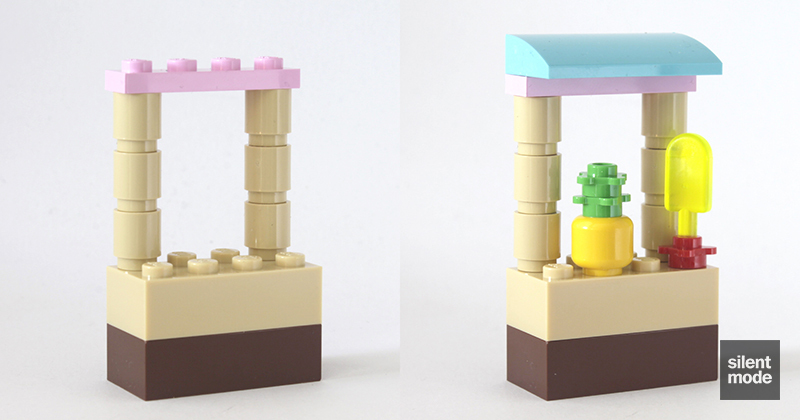 A 1×2 SNOT brick with two studs on one side will come in useful. We’re also treated to yet another banana and a Trans Neon Green popsicle (obviously pineapple flavour), and for those interested in building minidoll vehicles, another foot bracket. 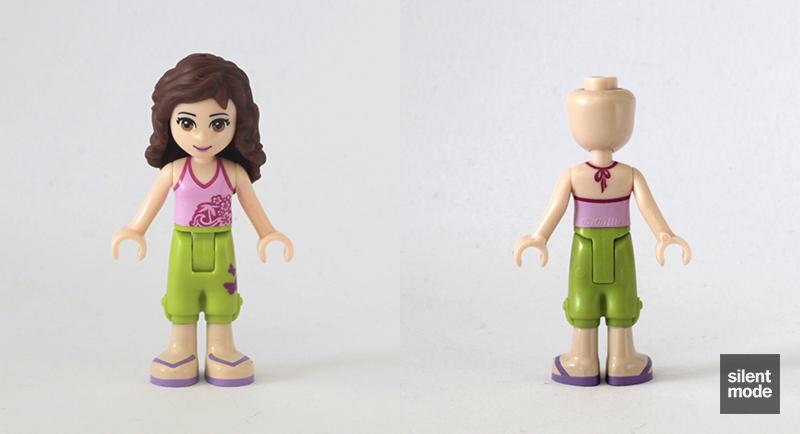 These also work very well with minifigures, in case you’re curious. Welcome back Olivia, I guess. The only thing remotely different and notable about her this time is that she has a unique torso to this set, paired with a very familiar looking pair of legs. It would have been nice to have them in a different colour this time, but I guess we can’t have everything. So let’s get on with building. A very straightforward build of a box barely half full of fruit, with the added trick of using two 1×1 round plates to tilt it at an angle. If you have any cherries left over from the Springtime Scene (40052) here would be a good place to put them. Another incredibly simple build, accompanied by the pineapple we saw earlier, and yet another food item mysteriously stood upright on top of a flower. What do they put in these things? 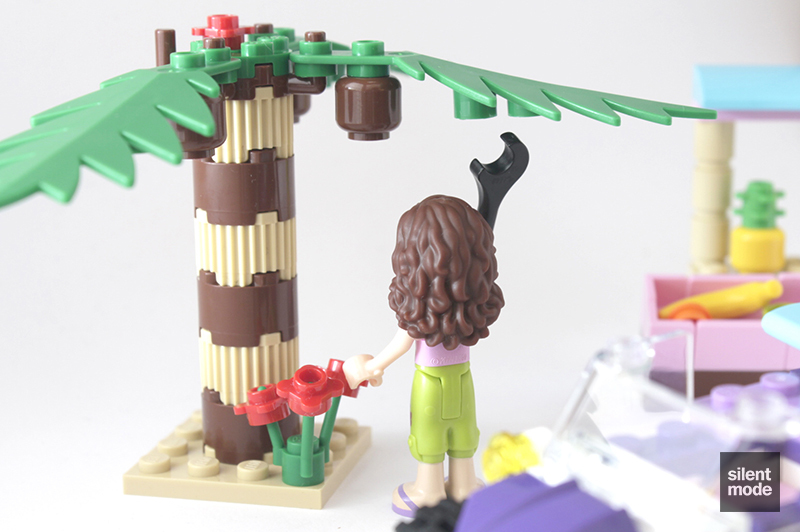 Rather than bringing back the old palm tree trunk pieces, the set designer has gone for alternating profile and regular round bricks to create the trunk. One use for that mysterious Reddish Brown plate with four perpendicular arms is demonstrated here. 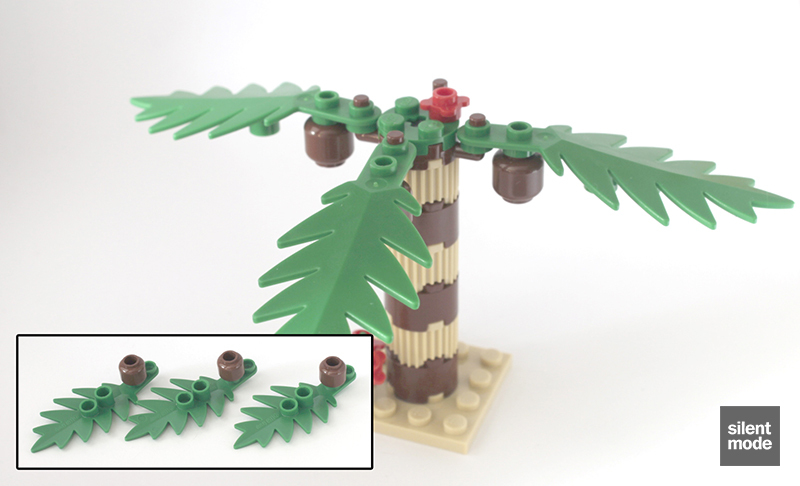 The three Reddish Brown minifigure heads act as coconuts, or equivalent Heartlake City fruit, to sit under the palm tree leaves. So yet again we find ourselves at the main event, and as with every other vehicle we’ve built, it starts with a foundation. Note that one end is raised with the help of two Trans Red 1×2 plates. 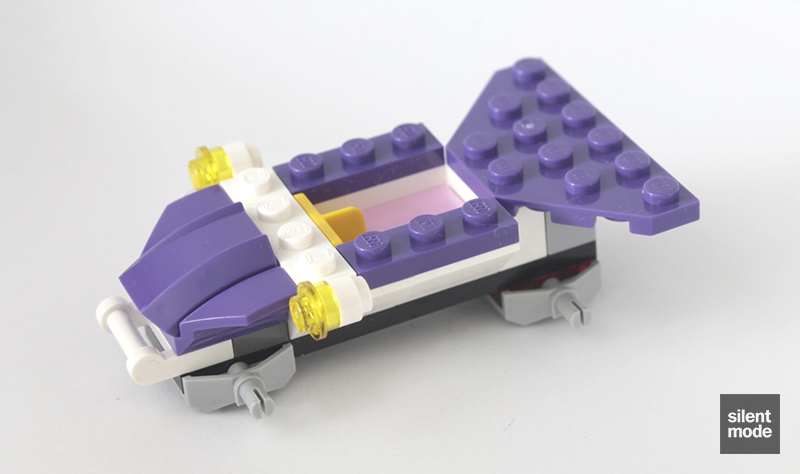 A bunch of White elements make up the body of the vehicle, and the SNOT brick takes its place on the raised back. 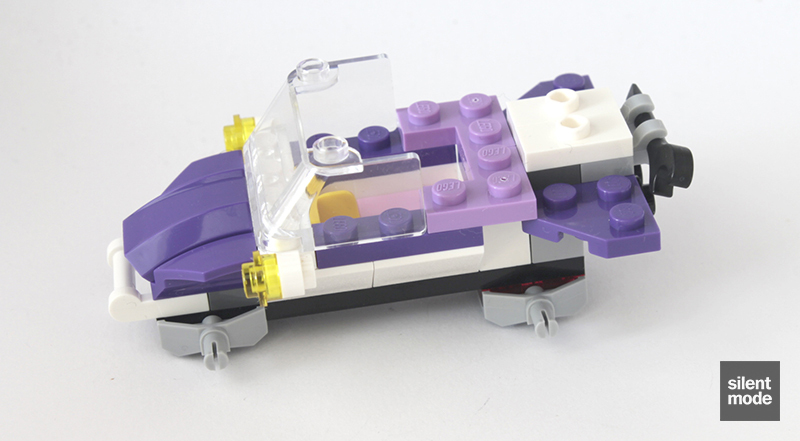 All the Dark Purple parts then go on top to give the buggy an overall shape, while some headlights are added to the sides. It almost looks like a sled: just add some skis and we’re set! The exclusive Medium Lavender corner plates outline the seat, while we add the windscreen and two 1×2 jumper plates on the back. True to Olivia’s form (as an inventor), there’s a placeholder for a wrench at the back of the vehicle, in case she gets any customisation ideas while on the road. 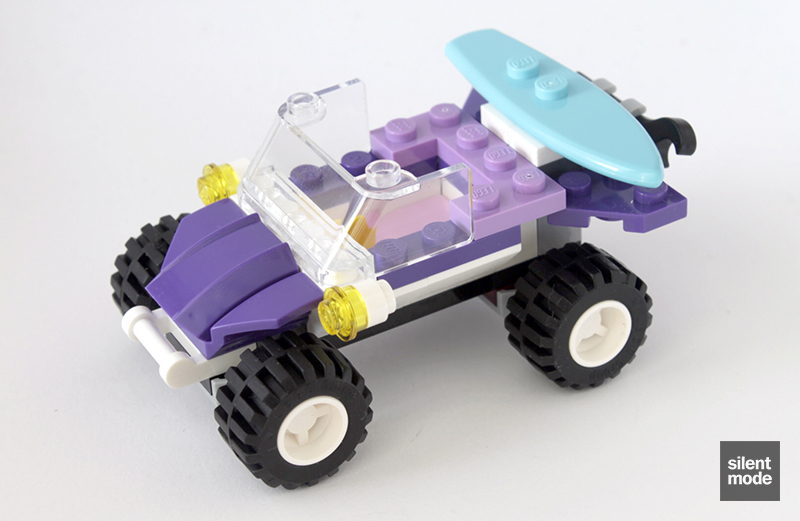 As with all other LEGO vehicles, the very last thing to be fitted are the appropriate buggy wheels. The surfboard can be attached to the buggy using the jumper plates on the back, and can very easily be removed. 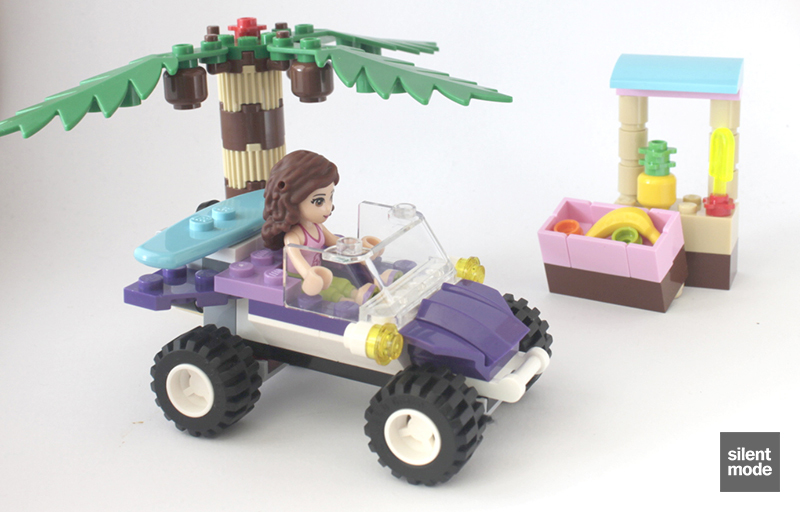 Whenever the stresses of running a pioneering technological company bring her down, Olivia jumps in her customised beach buggy and heads down to the coast. There’s guaranteed to be fresh fruit and a pineapple ice lolly waiting for her. Today Olivia opts for her favourite, a plain yellow banana. Noticing the ripe coconuts (or cocoa balls), she decides to retrieve one for her supper. Pretty much as we’d expect: one of each 1×1 round tile, and an extra grass piece. For some reason these appear to be more useful than usual. Just like with the third wave, each of the main cast can be seen doing what they love during the summer. Mia is on probation at the Downtown Bakery; Stephanie is in special – I mean – summer school; Olivia is a popsicle equivalent of a sommelier; Emma is play dating in the forest; Andrea is doing an Annie Lennox. This time around the extended map of Heartlake City shows where some of the sets are “located”. My prediction of a mountaineering set has virtually come true, though nobody remembers or had listened. Here are all the unique figures in the fourth wave, from all six sets. Collect them all, run out of space to store them and end up building your own display. 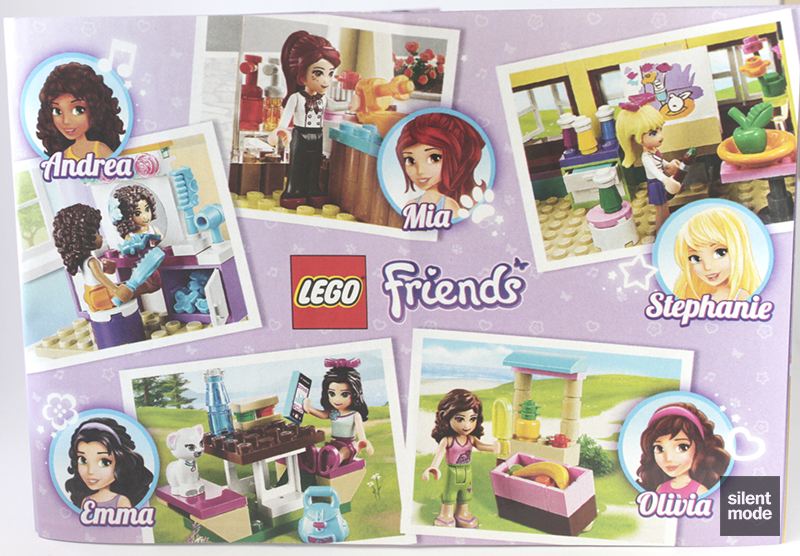 While that same woman is still struggling to put Olivia’s House (3315) together, Mia is looking a bit suspect. This set really isn’t much to look at from the box art, but I appreciate it a lot more as soon as it’s open and the parts are revealed. I didn’t expect to find some of the parts there are, mainly because I wasn’t paying enough attention. 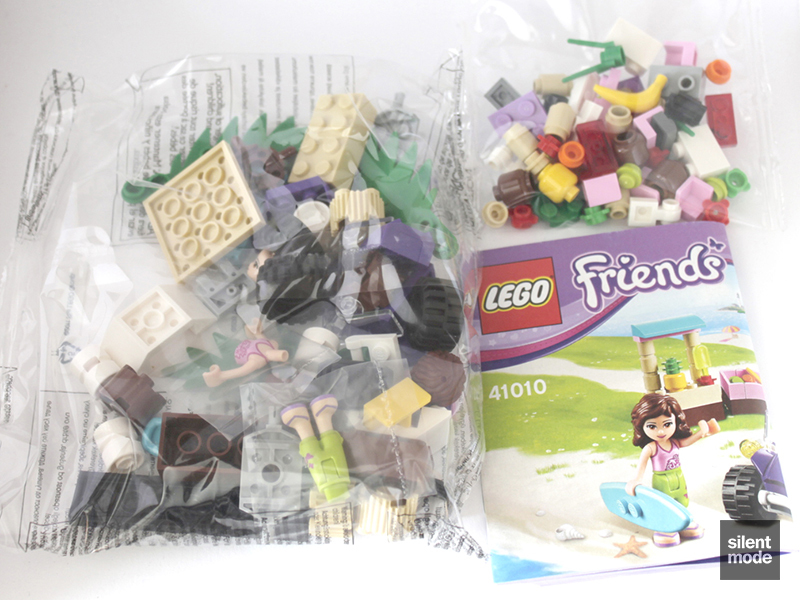 Based on the choice of parts and play features, the set is an immediate improvement over Olivia’s Newborn Foal (41003) where there wasn’t much to do except, well, play with the mini horse. The buggy, despite its appearance, scores very well in “swooshability” – although it suffers the same fate as Olivia’s Speedboat (3937) in that it has no controls! Then it becomes obvious that the vehicles are controlled by her “woman power”, as learned at Riding Camp last year. In all seriousness, rolling the buggy around with no steering wheel or Friends-specific handlebars feels very awkward, but at least there’s no issues with handlebars coming off. 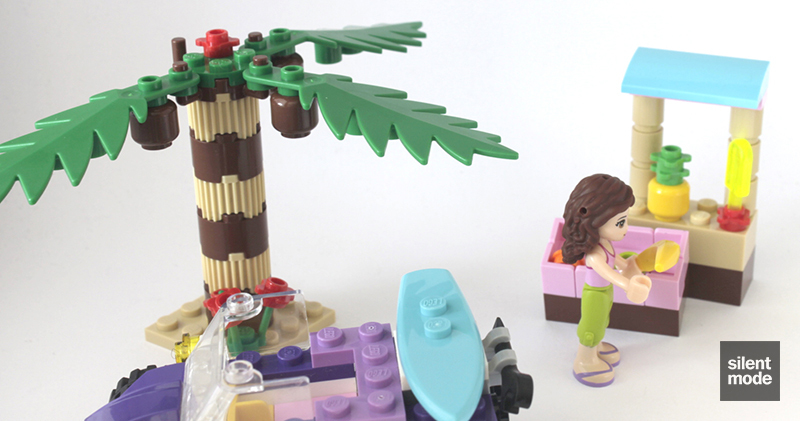 The rest of the set is very much secondary, with the palm tree being the most disappointing of all – it really could have reintroduced the old palm tree parts – but they also demonstrate how minifigure heads can be used for things other than heads, and that items don’t have to be flat on the ground all the time. Hopefully it will teach new builders ways of using specific parts creatively and non-literally. 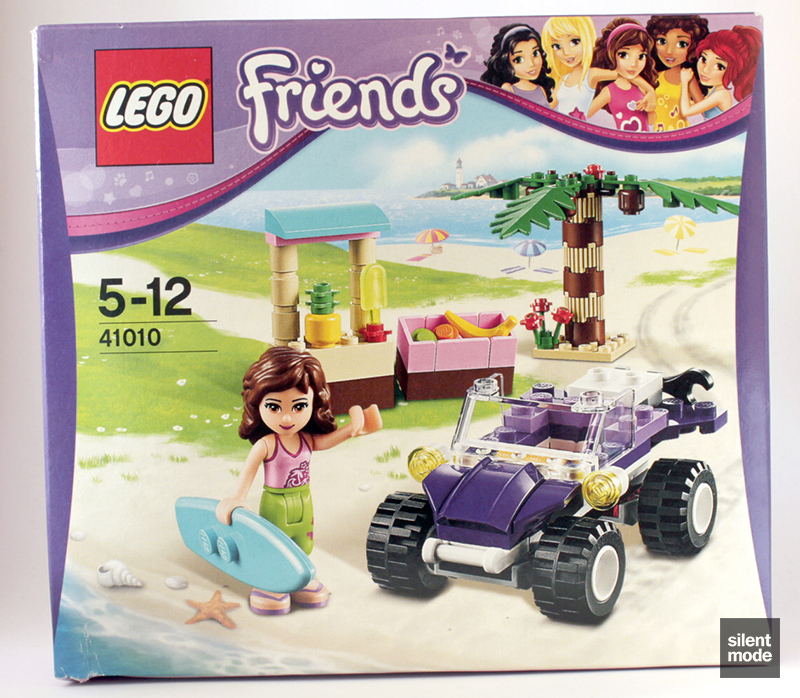 The beach buggy design is much more appealing as a model than on the box, but the patterned palm tree lets things down overall. New techniques for those new to building with LEGO, and nothing particularly challenging. Something that can be fairly quickly put together. 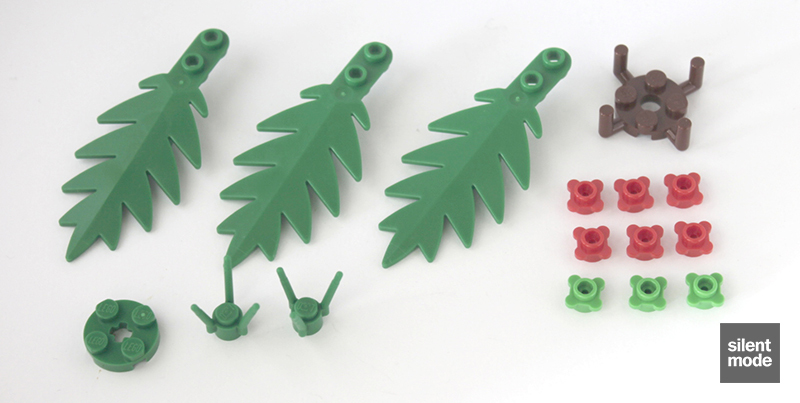 A very good selection of parts for addition to a collection, including the flower plates in Red, the profile/grille round bricks in Tan and especially the plain minifigure heads. The set as a whole is a display piece, but the buggy can be played with separately and makes a nice swooshable vehicle. 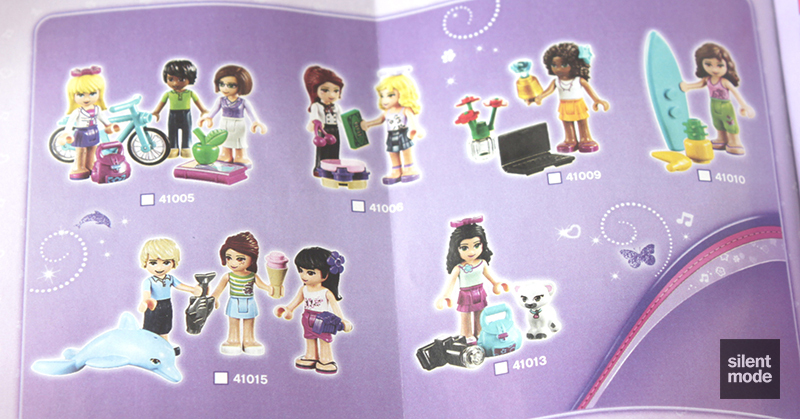 Pick this up to add to your minidoll collection, or if you're after any of the exclusive or newly introduced parts. Based on the above, we get the ball rolling with 7.2/10: not quite worth an Approval but not bad either.